How to create a secret link to any board. 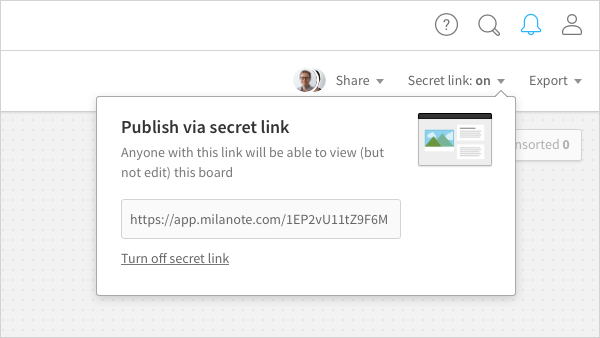 If you want to share your work with someone who doesn't have a Milanote account, send them a secret link a to read-only version of your board. They can see the contents of the board (and any sub-boards) but won't be able to edit it. Clicking "turn off" will disable the link you sent out and make your board private again.